PLEASE READ THESE CONDITIONS CAREFULLY. BY ACCESSING THIS WEBSITE, YOU AGREE TO BE BOUND BY THE LEGAL CONDITIONS SET OUT BELOW. IF YOU DO NOT ACCEPT THESE LEGAL CONDITIONS, DO NOT ACCESS THE WEBSITE. To purchase virtual gift cards posted on this Website, you must enter certain information at specific times, including the information on the credit card and on the payment and the related billing. By providing this information, you warrant that it is both accurate and up-to-date. By making a purchase (even if the electronic signature is to some extent avoided), you confirm your agreement to pay all of the costs incurred by you or the users of your credit card. We may collect some data on your user session activity. This information as well as the information provided during the product purchasing process can be used by SAIL Outdoor Inc. Please review our confidentiality policy so that you are aware of our conditions pertaining to privacy. SAIL Outdoor Inc. reserves the right to refuse any order for any reason. Virtual gift cards may be used in all SAIL Outdoor Inc. stores in accordance with their rules and the restrictions on use. Virtual gift cards are never valid for prior purchases. The customer is responsible for purchases from SAIL Outdoor Inc. whose value exceeds the value of their virtual gift card. Redemption of cards will occur directly at one of the SAIL Outdoor Inc. locations. Customers are responsible for notifying SAIL Outdoor Inc. if a certificate has not been received within one (1) week following the date on which the delivery notification was sent. Orders of virtual gift cards are subject to a process that compares the information provided by the purchaser to the Website with information about the purchaser provided by their financial institution. In the event of a discrepancy, your virtual gift card order may be delayed until the information can be corrected. If the date on which you wanted a virtual gift card delivered has passed and you have not received confirmation that the virtual gift card was sent, please contact Customer Service. We are not responsible for virtual gift cards that are undeliverable or not received due to your failure to enter an accurate e-mail address for the recipient. Please verify that the e-mail address for the recipient is correct and contact Customer Service if you believe the recipient did not receive their virtual gift card. Should an e-mail be returned to us due to inaccurate delivery information for the recipient, we will attempt to contact you for a valid e-mail address. If a spam filter is blocking vgcdelivery.com e-mails from getting to an inbox, the e-mail options will need to be modified so that vgcdelivery.com e-mails are not considered spam. If you need further assistance, please contact Customer Service. Gift cards or certificates that are lost or stolen after having been received will be replaced provided the card or certificate is still unused in the SAIL Outdoor Inc. System, and if it is possible to revoke the previously issued card or certificate. Virtual gift cards will not be replaced if lost or stolen without the purchaser’s confirmation e-mail and proof of payment. Virtual gift cards have cash value and should therefore be kept in a safe place. If your gift card or certificate has been reported lost or stolen and has been used in the SAIL Outdoor Inc. System, an investigation will be conducted. SAIL Outdoor Inc. may require that the customer swear an affidavit before a notary public or commissioner of oaths regarding the missing gift card or certificate. To initiate an investigation into such an issue, please contact us. 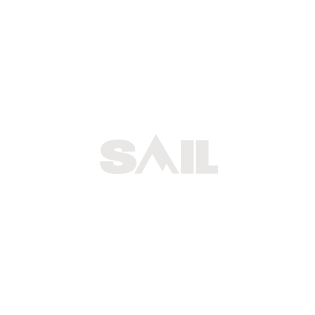 SAIL Outdoor Inc. virtual gift cards have no expiration date and no fees. You may not use your virtual gift card to purchase other virtual gift cards. Virtual gift cards cannot be reloaded, transferred, resold or redeemed for cash. Ownership and risk of loss of virtual gift cards passes to the purchaser as soon as we send our confirmation to the recipient. We are not responsible for lost or stolen virtual gift cards. The contents of this Website, such as text, data, software, photographs, graphics, videos, music, sounds and other information and material (the "Site Material") is protected by national and international law on copyright, trademarks, trade secrets, and other proprietary rights. Unless otherwise indicated, all of this content is the property of SAIL Outdoor Inc. or its affiliates or business partners. You may not sell or modify our Site Material or reproduce, display, distribute or otherwise use the Site Material in any way for any public or commercial purpose. Use of the Site Material on any other website, network, printed document or networked environment is strictly prohibited. THIS WEBSITE AND ITS CONTENTS ARE PROVIDED TO YOU ON AN "AS IS" AND "AS AVAILABLE" BASIS. SAIL Outdoor Inc., ITS DIRECTORS, EMPLOYEES AND AFFILIATES EXTEND NO WARRANTIES OF ANY KIND IN RESPECT OF THIS WEBSITE OR ITS CONTENTS AND, TO THE EXTENT ALLOWED BY LAW, SAIL Outdoor Inc. DISCLAIMS ALL WARRANTIES IN RESPECT OF THIS WEBSITE AND ITS CONTENTS, WHETHER EXPRESS OR IMPLIED, (except any warranty that may be contained in any license or other agreement related to a specific product or service) INCLUDING, WITHOUT LIMITATION, THE IMPLIED WARRANTY OF MERCHANTABILITY AND THE IMPLIED WARRANTY OF FITNESS FOR A PARTICULAR PURPOSE. NEITHER SAIL Outdoor Inc. NOR ANY OF ITS DIRECTORS, EMPLOYEES, AFFILIATES OR BUSINESS PARTNERS SHALL BE LIABLE FOR ANY LOSSES OR ANY INDIRECT, PUNITIVE, CONSEQUENTIAL, SPECIAL OR OTHER DAMAGES ARISING FROM THIS WEBSITE OR RELATED TO THE USER OF THIS WEBSITE OR TO ANY PRODUCTS OR SERVICES DISTRIBUTED OR PROVIDED THROUGH THIS WEBSITE, whether as a result of errors, omissions, loss of data, defects, viruses, interruptions or delays in operation or transmission, or any other cause. This limitation of liability shall apply regardless of the legal theories through which relief may be sought. SAIL Outdoor Inc.'s AGGREGATE LIABILITY UNDER THIS AGREEMENT SHALL NOT EXCEED THE AMOUNT PAID TO SAIL Outdoor Inc. FOR SERVICES DURING THE THREE (3) MONTHS PRECEDING ANY EVENT GIVING RISE TO SUCH LOSS. Any dispute regarding this Agreement shall be governed by the laws of Quebec and the parties agree to be subject to the exclusive jurisdiction ofthe Courts of the Province of Quebec. You acknowledge that you have read this Agreement and understand it, and agree to be bound by all its terms and conditions. This document constitutes the entire agreement between the parties related to card production and merges all prior and contemporaneous communications related thereto. Unless stated otherwise in writing, this Agreement shall not be amended except by a written agreement signed by duly authorized representatives of SAIL Outdoor Inc. No purchase order or similar document issued by you shall amend this Agreement even if it is signed by SAIL Outdoor Inc. If SAIL Outdoor Inc.'s performance of any of its obligations hereunder is delayed by force majeure or any other reason not within SAIL Outdoor Inc.'s control, then the date for performance shall be extended by the duration of such delay. If any provision of this Agreement is found to be invalid or unenforceable, the remainder of this Agreement shall remain valid and enforceable according to its terms. The parties intend that the provisions of this Agreement shall be enforced to the fullest extent permitted by the applicable law. Accordingly, the parties agree that if any provisions are deemed to be not enforceable, they shall be deemed to have been amended to the extent necessary to make them enforceable and in such a manner that comes as close as possible to the intentions of the parties to this Agreement. The non-enforcement of any provision hereof does not constitute a waiver of any right to enforce that provision in the future. This Agreement shall inure to the benefit of and be binding upon the parties, their successors and assigns, except that you may not assign or transfer this Agreement without SAIL Outdoor Inc.'s prior written consent.